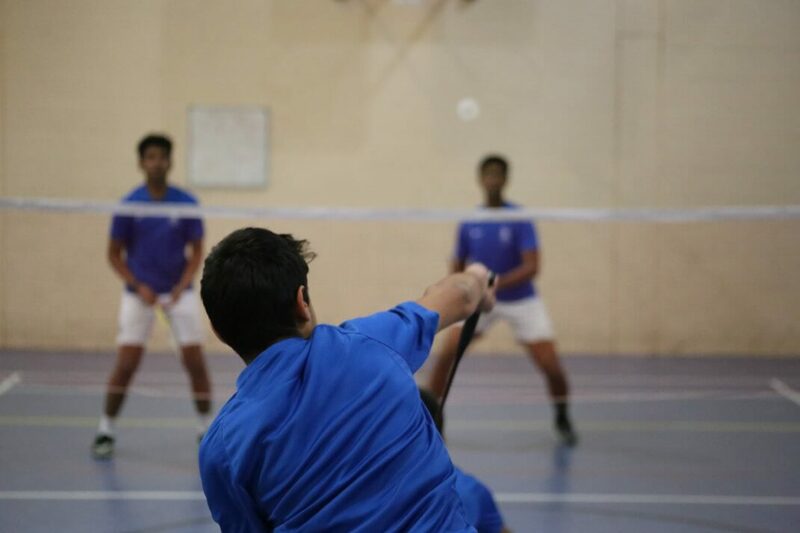 Badminton is a popular sport for boys of all ages and abilities at John Lyon. 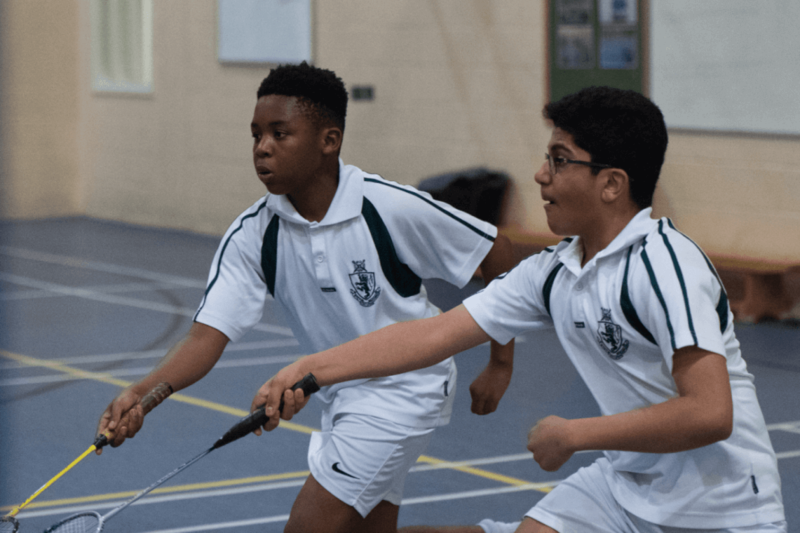 It is taught in PE lessons throughout the year in Years 7-11, and is also available as an extra-curricular club for all age groups. 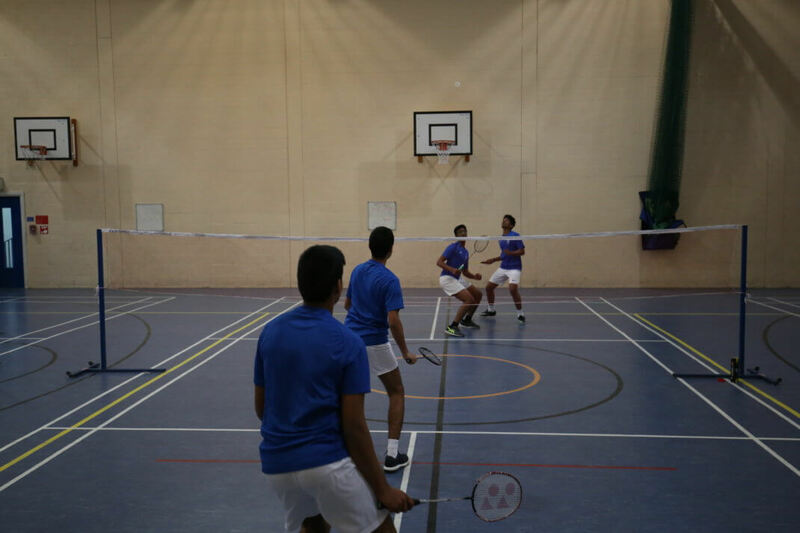 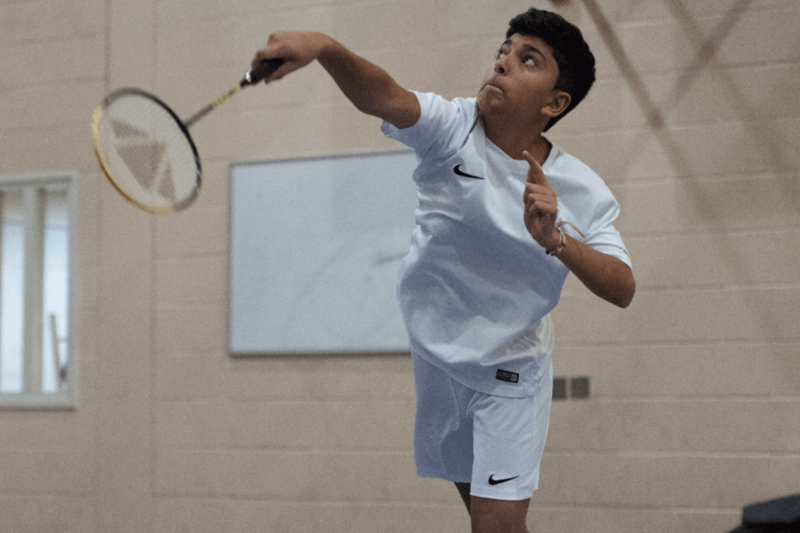 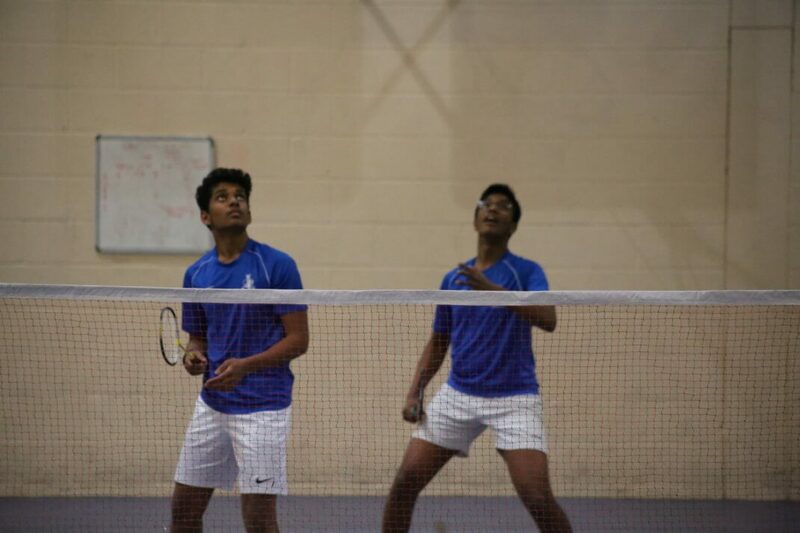 John Lyon badminton teams play in competitive Borough Tournaments as well as in a programme of friendly fixtures against schools such as Harrow, Eton College, Wellington College, Charterhouse and Epsom College. 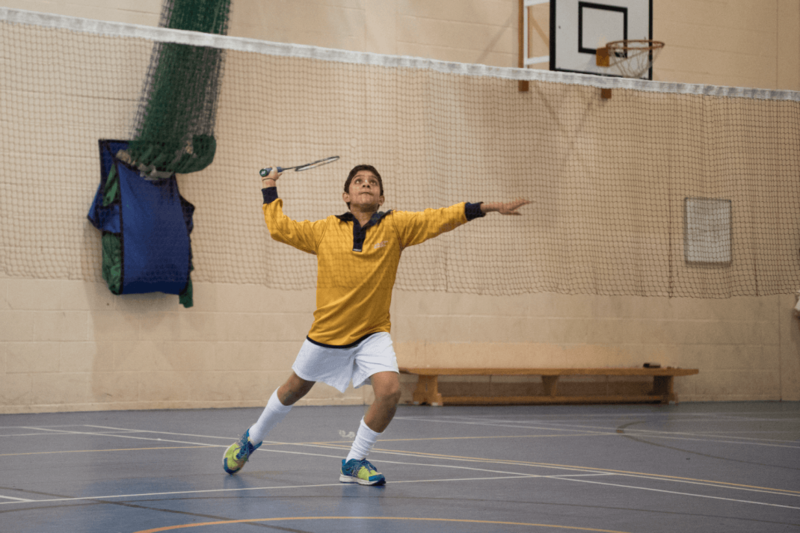 John Lyon is an independent school, a member of HMC, ISC and is reviewed in the Good Schools Guide. 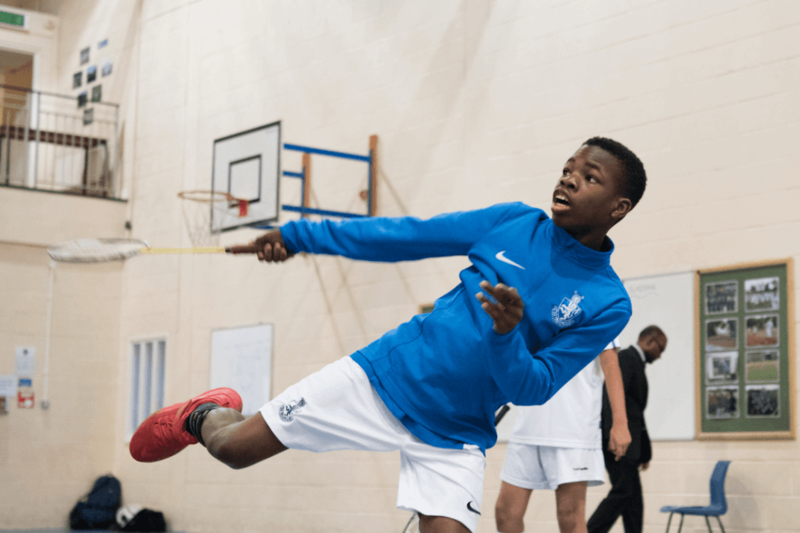 Pupils typically join John Lyon in Years 7, 9 and 12, largely from a North West London catchment area including Harrow, Wembley, Stanmore, Pinner, Watford, Rickmansworth, Northwood, Ruislip, Hillingdon, Uxbridge, Ickenham, Northolt, Southall, Ealing, Acton, Edgware, Brent Cross, Finchley, Barnet, Camden, Westminster, Kensington & Chelsea, Hammersmith & Fulham, as well as other parts of Middlesex, Berkshire, Buckinghamshire and Hertfordshire.  See forthcoming open events, concerts and exhibitions on our What’s On page. 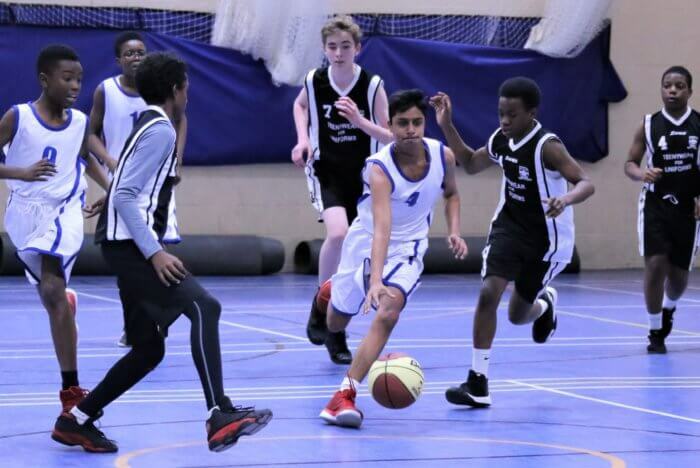 John Lyon's U14 Basketball team have signed off from Spring Term action with a thrilling Harrow Borough tournament victory. 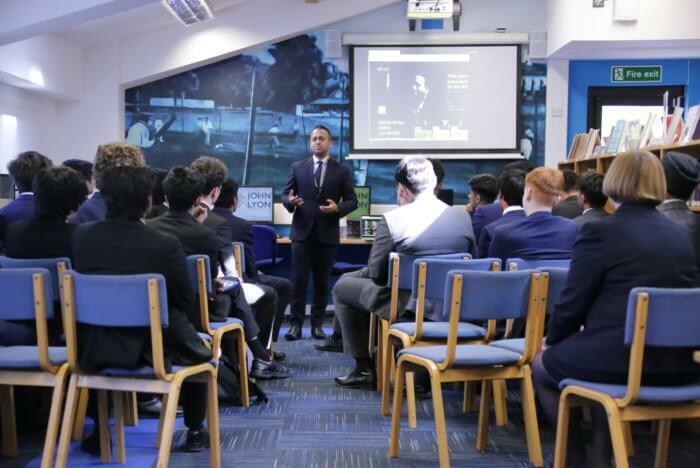 John Lyon Sixth Form students should "dare to be different and want make a difference" when thinking about their careers, a former pupil and leading overseas diplomat has said. 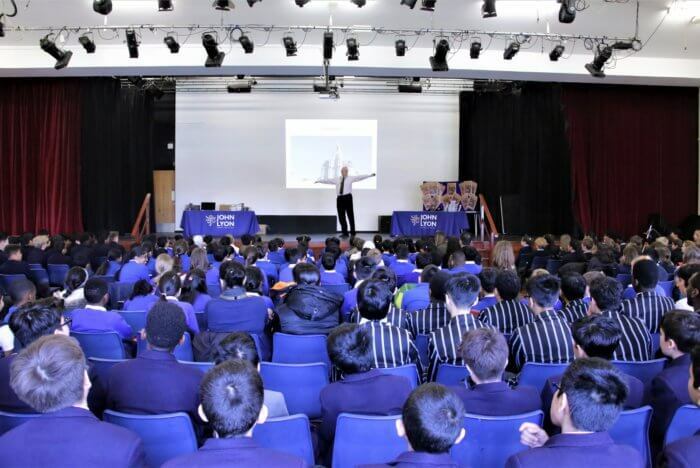 A leading light in UK children's literature, award-winning author Alan Gibbons, has talked about his life writing more than 70 books to a packed audience of John Lyon pupils and children from other North West London schools. 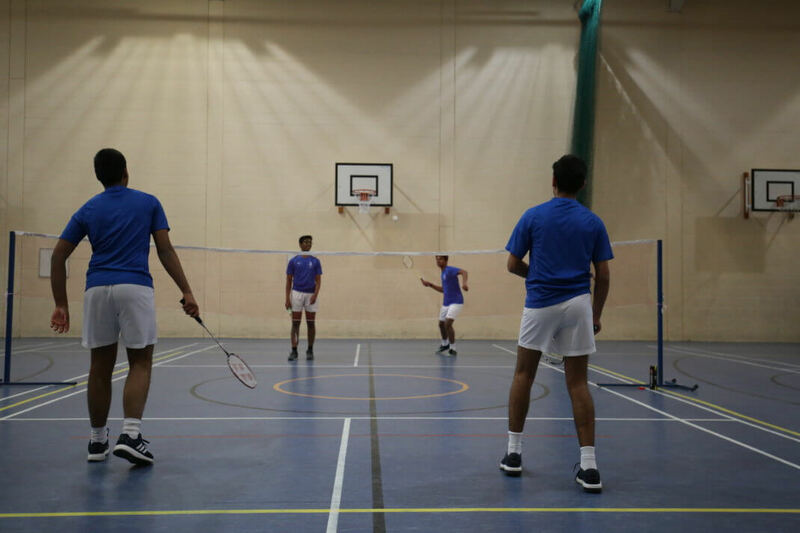 © Copyright The John Lyon School 2018.